Pet sitting and dog walking services. We also offer live-in pet and home sitting and stable/field visits to horses and other grazing animals. Professional, affordable and reliable pet care services in the Derbyshire Dales area. We have a team of referenced, CRB checked and trained Pet Carers who are able to assist you and your animals 365 days per year. Flexible one-to-one service tailored to your pet's needs. We offer a free trial to new customers. I have used this company many times now to look after my timid cat. The service is excellent, the price reasonable and I would recommend them to anyone needing home care for their pet. Sarah and her team at Pet Solutions are extremely reliable and my nervous moggy is much happier when we are away than when she has gone into a cattery. 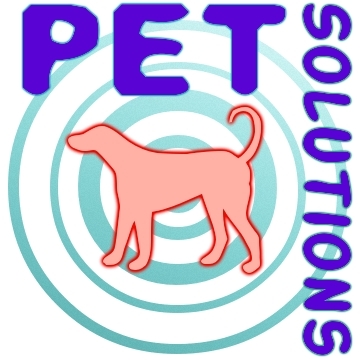 I have used Pet Solutions for some years now and have no hesitation in recommending them. I was looking after my daughter's dog, Donny, while she was on a short holiday. I wasn't able to take him for walks as I have had major surgery on my knee this year. The person, from 'Pet Solutions' who came to take Donny for a walk was excellent. He arrived on time and worked hard at forming a bond with the dog. After a couple of days, Donny was actually looking out of the window waiting for him to arrive. The service could not have been better. Great job, reasonable price and very happy kitty's. Pet Solutions is a well managed business that me and my husband trust completely with our dog. Pet Solutions started looking after our puppy at 11 weeks old and have been a fantastic help in raising him to be a lovely dog while we are out at work, I never have to worry about him as he is in such great hands. The live in pet sitting service for our two dogs was excellent and gave us peace of mind whilst we were on holiday. It was also lovely to stay in touch with the sitter whilst we were away and have regular updates on how the dogs were. So much nicer for the dogs than staying in the kennels. Have already booked them again. Pet Solutions visited before they looked after my cat to ensure that they knew what was needed. They looked after my rather nervous cat with knowledge, skill and kindness. Pet Solutions are trustworthy and know what they're doing. I would use them again and confidently recommend them to others. We have used the dog walking services of Pet Solutions for almost a year. Their services are friendly, flexible and fairly priced. Our puppy loves his visits from his walker Louise, who leaves us with feedback each visit, on how he got on during the day. Highly recommended! Pet Solutions is a very professional service and we are very happy with the quality of service they provide. A very caring and professional service. I even got day by day notes of what had been done and how my cat behaved.. The carer soon managed to win the confidence of my very nervous cat. Would definitely use this company again. An excellent service, reliable and trustworthy, I would highly recommend. Pet Solutions have provided a dog walker for our Labrador for the past 6 years. They are helpful and completely trustworthy. They love dogs and take great care of the pets they look after.